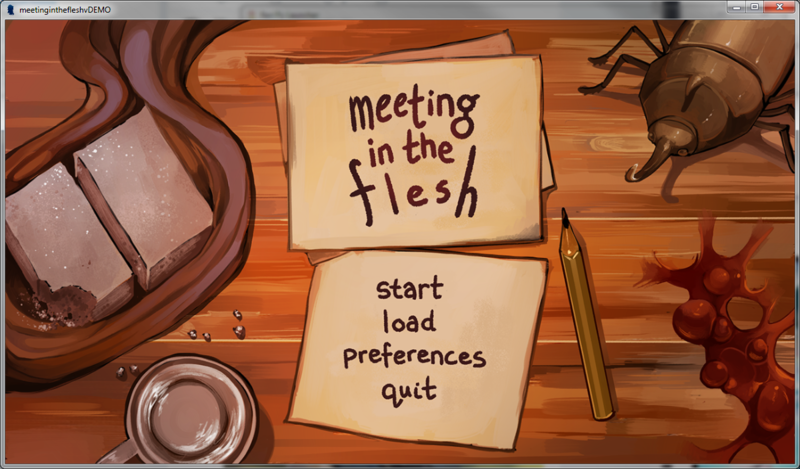 Meeting in the Flesh is a free horror/romance visual novel. You play as Vil, the resident of a strange but friendly little city, encountering various people and getting the chance to court one of three different monstrous suitors. 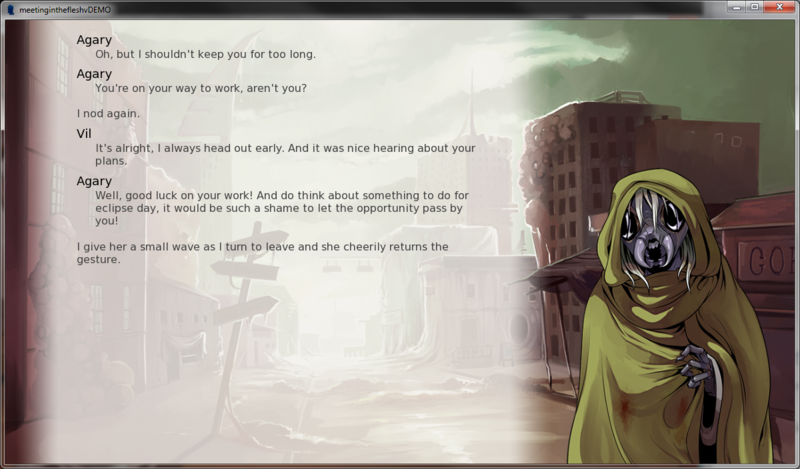 Though the game will include some body horror imagery, the game is a romance at its core, with a focus on getting to know and growing closer to your partner. It features romantic scenes that can be toggled between a PG-13 and R rating. Yiestol is the community overlook. Kind and gentle and takes great pride in his work. He cares deeply about others. Brattan is a salt scout. Very friendly and outgoing. He loves adventure and excitement, and wants to discover something big! Nyargh is the owner of a bee shop. Though gruff and stoic, he's in no way mean. However, he's surrounded by some odd rumors ... ? Meeting in the Flesh is available for absolutely free! A small 'Thank You Booklet' is available to anyone who donates $2.00 or more, as a show of our appreciation. It contains a small collection of rough sketches, progress shots, and unused versions of artwork from the game. Please report any bugs, typos, visual aberrations or error codes to us, and we'll fix them as soon as possible! We post game updates at inkethic at Twitter! Meeting in the Flesh is produced by Fal (cacoethic) and Miru (inktrashing). - March 31, 2019 - Meeting in the Flesh 1.0 release! This was so different from anything I've played before, and I really enjoyed it! The backgrounds and character art are really well done and consistent with the setting, and all of the routes are well written. I liked that all of the characters and their storylines are so different from one another, but they were all still nice to and cared about Vil. The routes felt a lot more complex and deeper than I thought they'd be and I was thinking about the first route I played (Yiestol) for a while after I finished playing. Thank you for making this and sharing it! Oh, thank you so much! We're really glad you enjoyed it, and hearing that it was a unique experience for you is really special, high praise. We're really glad that all the routes had something of interest! We hoped we could offer stories that could take full advantage of the open setting and the different ways these monsters all live, so we 're just happy if any of that intention made it into the finished product. 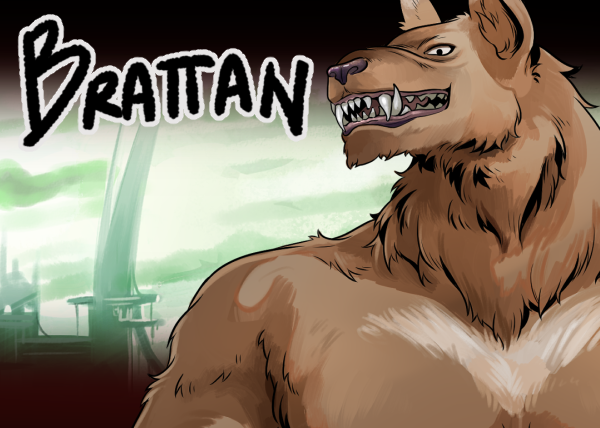 My fave Brattan was everything I thought he would be, with an entirely unexpected story, Yiestol gave me a bit of a surprise (cant say cuz of spoilers)- but Nyargh was an utterly delightful surprise, and honestly my favourite route just from how cosy, fluffy and nice it was. Kudos for the lovely little game! 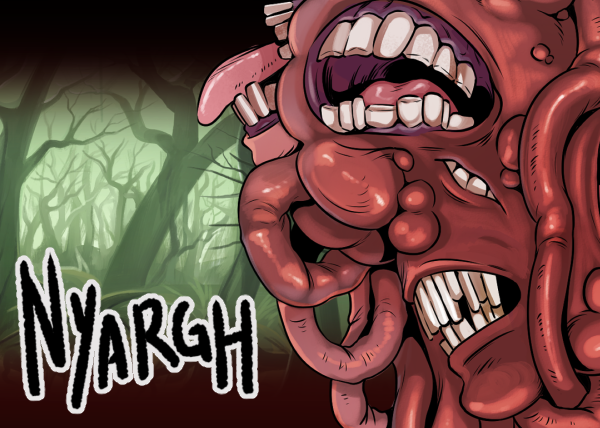 And a really well done making this game suitably unsettling and disturbing but still lovely and fluffy! Absolutely loved the game, the amount of effortless world building you guys managed to pull off in a short amount of time without it feeling overbearing or like a textbook is crazy! I really loved the characters and I felt like all three of the romance routes (and the others) were all easy to empathize with and really full of depth. The art was beautiful and really meshed with the story, I especially love how unique the romance-able characters' designs were while still being easy to empathize with. Congrats on release! PS I need one of Nyargh's bees! Fantastic job, guys. Congratulations on release! Thank you so much SC, your support and promo-ing our materials throughout has really meant the world to us! loved the demo & i absolutely love the finished product. although i was motivated entirely by nyarg's design when i chose his path first, it wound up really resonating with me on a personal level & i'm thrilled! all three lads are so unique & wonderful in their own way & i'm so glad this game exists! thank you for making it & i'm very excited for whatever you all wind up making next! no no it's just better if the text box is at the bottom because on the side it's very distracting :/ I know it's already finished and you probably just want to relax now but would it be possible in the future to choose to have it on the side or on the bottom?I mean, you don't HAVE to since it's only me that is bothered by it. also are there cg's?? I'm afraid it's probably not very feasible, just because the volume of work required would be really considerable and it may impact all kinds of other aspects of the game's appearance -- character positioning, text display and so on would be very poor without really heavy modifications, more than we can really afford to commit at this time. The conditions of making this game were a bit unique in that way! I'm sorry for the inconvenience! It may seem like it would be distracting, but while we're a short game, we have a large body of text, written almost in novella format. It's like having a page next to the illustration. Loved the game, its so satisfying to see a completely diffent and original universe! 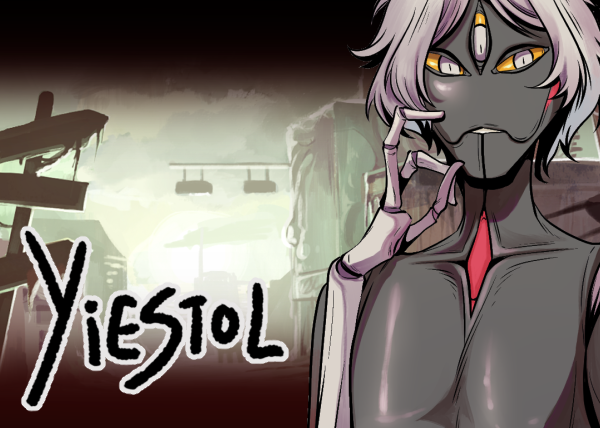 And Yiestol is just way too pretty, i never thought i'd see a "monster"that looks so much like a model. ps: fluffy bees is such wholesome content. We have a planned release in early 2019 for the full game, so we hope you'll enjoy the complete version with us then! We're really thrilled you're enjoying it! Thank you! This alpha really made my day! Not only is the game exceptionally creative, but it is done extremely well too. Art and text are cohesive so that the player really enters this strange universe, becoming Vil and apart of the story you guys are trying to create. Nyargh, Brattan, and Yiestol all seem like well developed characters (from the little we get to see of them) and I am absolutely smitten with each of them for different reasons. As salty as I am for not being able to play their routes yet, it only fuels me to keep an eye out for the Beta. I can see great things from this little gem of a game. Thank you so, so much! I'm sorry it took us so long to reply, but your sweet comments really mean a lot and are so encouraging. We're so grateful that you took the time both to try it out and to comment. We're still grinding hard on the full game and reading this sort of thing is so uplifting, especially during the hard middle bit when there's still so much to go. Thank you, and we hope the full game won't let you down! I absolutely love what you all have so far! The characters are super lovable and I am already pretty attached to them all after just the demo. The art is great as well! Definitely keep up the good work all of you! Also, another small note, I appreciate the idea of having a toggle for the rated R content, because it makes this sim even more open to people with different preferences and age groups too! Awww gosh, thank you so much for the kind compliments and for your support, this is such a sweet message. We're really glad the game appeals to you and that you enjoyed what you saw so far! It's also really encouraging to hear the R-rating toggle sounds like a good idea to you too. We knew our visuals and content might be a little niche, so we wanted to make sure everyone felt like they could try it if they liked the look of it. We'll do our best to keep our nose to the grindstone and hopefully produce a complete game that won't disappoint! 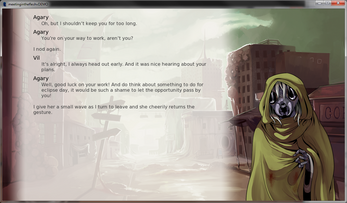 i love the illustrations of this game and how its not an ordinary visual novel! The characters are amazing, Yiestol has to be my favourite though. I can't wait for this to be finished and am looking forward to it! there is a pc zip and mac zip but thru the actual itch.io browser its "unavailable for windows"
I seem to have made a small error while uploading v2 of the demo and marked the game unavailable for PC and Mac! I think the issue should be fixed now, thank you so much for the pointer! no problem, but really thank you for the game! Oh gosh, thank you so much! We're really happy that we seem to have hit the right horror-mundane balance we were aiming for, and that people enjoy it. We absolutely welcome any write-ups, of course; we'd be really grateful for the time and effort put into it, and we'd love to see it when it's done! Oh wow, thank you so much for the article! It's incredibly flattering and we're really glad you enjoyed what you saw. We're also very appreciative of the promotion to your readers. I hope it's okay that we've queued your post for our developer tumblr as well!